Nearly a week after President Donald Trump signed a memorandum banning some transgender people from serving in the U.S. military, Pentagon officials on Thursday refused to answer questions about the policy, except to say they would continue to follow court orders currently blocking the ban. Since then, the Pentagon has mostly declined to answer even basic questions, like who was on a panel that provided Defense Secretary, Jim Mattis, with recommendations. A number of federal judges have issued rulings blocking Trump’s ban, saying it would probably violate the US Constitutional right to equal protection under the law. Trump’s memorandum followed his pledge in July to ban transgender people from the military, in a move that would reverse former President, Barack Obama’s policy. Mattis added that transgender individuals who require, or have undergone, gender transition were also disqualified. Lawmakers, former officials, and LGBT advocates have criticized the policy. 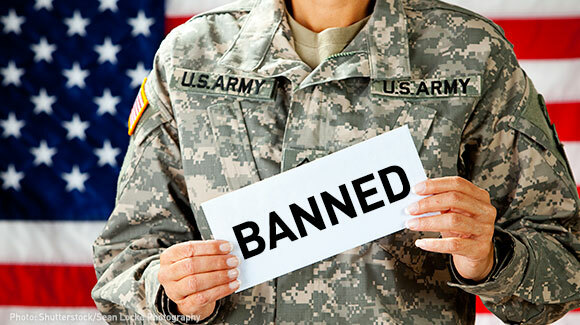 According to the Pentagon, 8,980 service members reportedly identify as transgender, but only 937 active-duty service members were diagnosed with gender dysphoria.